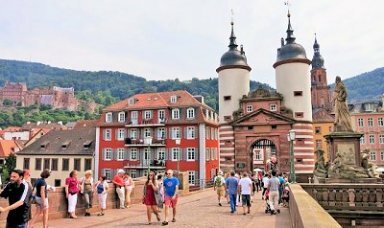 Visit the fairytale city of Heidelberg and get familiar with the great Black Forest Germany with all the sights and unique things. Finally head along a scenic route to Lake Constance, see Neuschwanstein, the Zugspitze, and Garmisch-Partenkirchen, ending up in Munich. This route is a sample and we can customize anything, adding or skipping days, for your convenience. 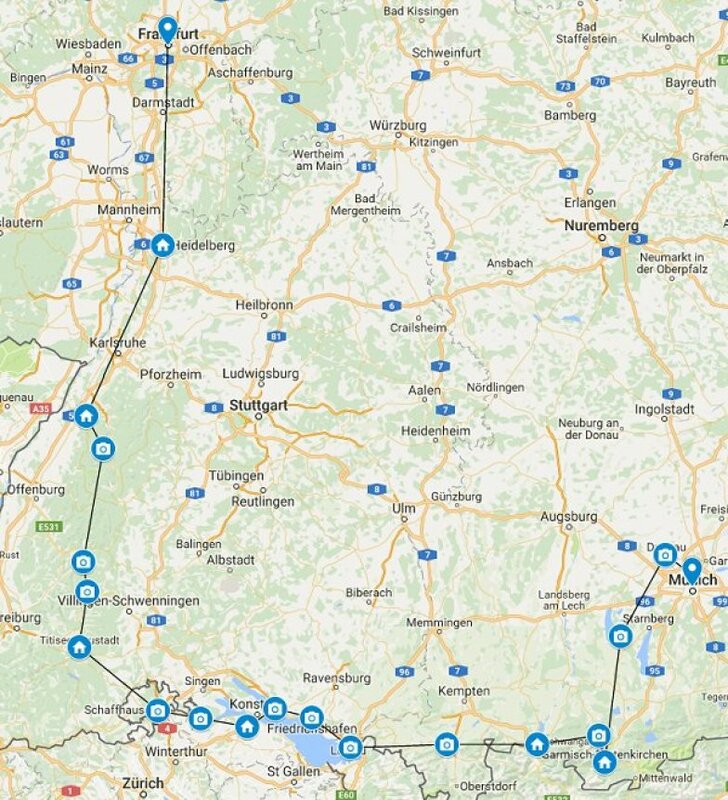 If you have some more days available you can add the Romantic Road and fly back from Frankfurt for example. By the way, what's scenic route meaning? Roads in Germany are usually very good and on the Autobahn (motorway) you often can drive as fast as you can. 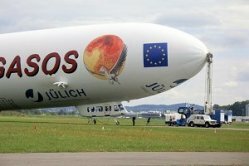 When you are in a hurry then you can us the Autobahn free of charge and drive from Frankfurt to Munich in approximately 3,5 hours time. 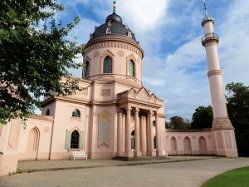 BUT when you enjoy a vacation in Germany then you definitively take your time and explore the cities, the beautiful country sites and scenic routes! This means you take a longer or slower route between two destinations but with much more cultural or natural beauty. 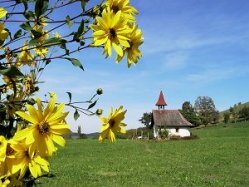 What means beautiful in German? "wunderschön or wunderbar", and that's what this trip will be! Heidelberg is a charming and picturesque town. It is also ancient. 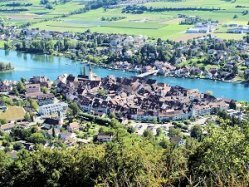 "Heidelberg Man", evidence of the earliest human life in Europe, is, in fact, a 500.000-year-old jawbone found near here. 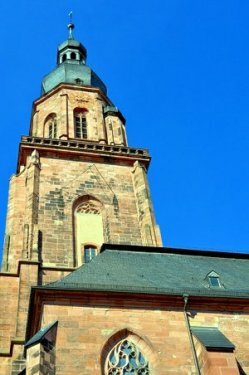 Most recently, Heidelberg was completely rebuilt in the 17th-century baroque style after Louis XIV all but destroyed the province. Visitors first approaching Heidelberg will immediately notice the ruined Heidelberg castle (Schloss), which was built in the typical local red Neckar sandstone over several centuries. 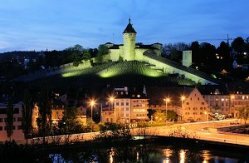 In the cellars is the Heidelberger Fass (barrel), which was built in 1751 and holds over 220.000 liters (49.000 gallons). 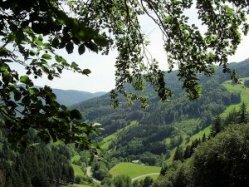 The Black Forest is a low mountain range. Up to 1,500 meters, you will find plenty of nature, legendary forests, streams, and lakes, as well as a healthy climate and important towns. 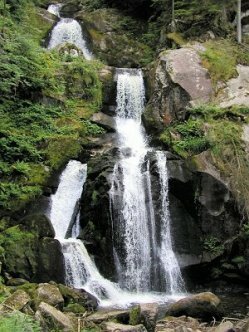 Pure relaxation and a wide range of cultural highlights compose a unique mixture for vacationers. 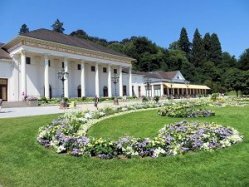 Everywhere in the Black Forest, you will have the opportunity to improve your health and your fitness. Also, there are numerous possibilities for outdoor leisure activities all year round. 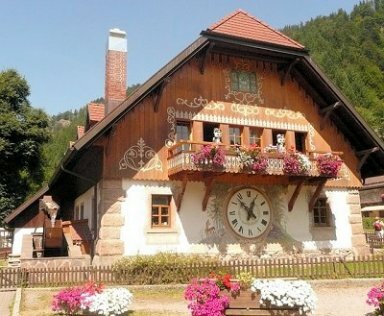 well as the cuckoo clock have become worldwide famous symbols of this resort area. 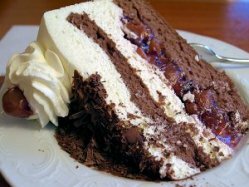 The cuisine and the caves of the Black Forest offer a wide range of culinary delights, such as crystal clear mineral waters, fruit schnaps, fine wines and the famous Black Forest cherry cake. 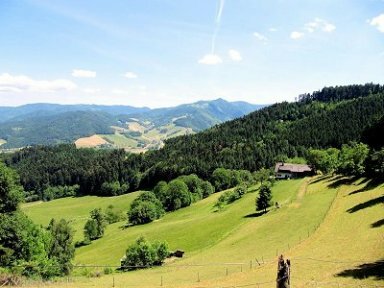 Riding the Black forest High Road, a scenic road from Baden-Baden to Titisee via the famous Mummelsee, you should visit the Black Forest Open Air Museum in Gutach. 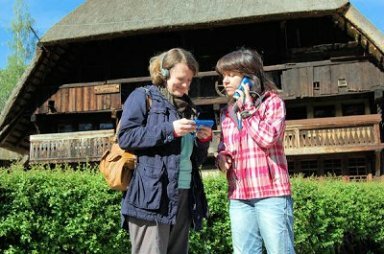 Based around an original farmstead, the 16th-century Vogtsbauernhof is an outstanding example of the region's distinctive vernacular architecture. All the other buildings, which include four more farmsteads, a chapel, a distillery, a bakehouse, smithies, granaries, and mills, have been removed from other locations. 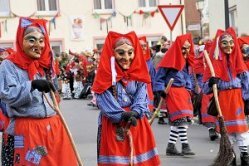 Old crafts are demonstrated, and there are displays of local folklore. 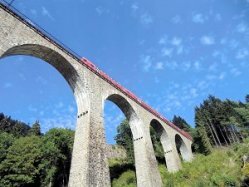 the Black Forest Railway (Schwarzwaldbahn), a major feat of 19th-century engineering. 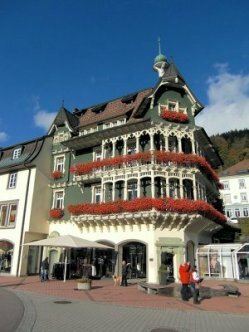 Titisee-Neustadt and the nearby lake of Schluchsee lie at the heart of the Black Forest (Schwarzwald) region. 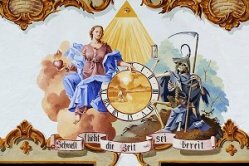 The "Kneippkur" (Kneipp health cure) is a tradition here and it is for this reason that the Kurmittelhaus (House of Health Cure Medicine) supports all applications of the Kneipp doctrine in addition to other physical therapies. The outdoor and indoor pools ensure swimming pleasure all year round. 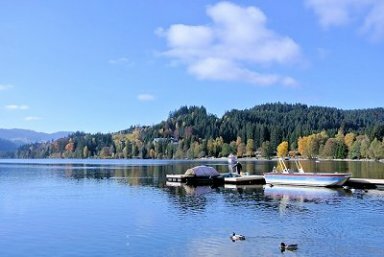 Lake Titisee is the largest natural lake and one of the most well-known places for tourists in the Black Forest. 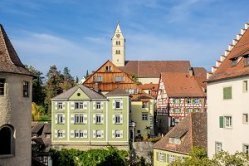 An architecturally distinguished town, Schaffhausen is particularly famous for its carved oriel windows and colorful frescoes on house exteriors. 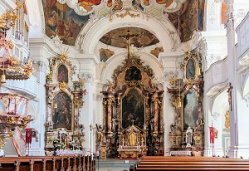 The two finest examples are the 17th-century Zum Goldenen Ochsen and the 15th/16th-century Zum Ritter. Other highlights include elaborate fountains, a fine 12th-century Romanesque cathedral, and the excellent All Saints Museum. Overlooking the town is the small, but extremely solid, 16th-century Munot Castle. 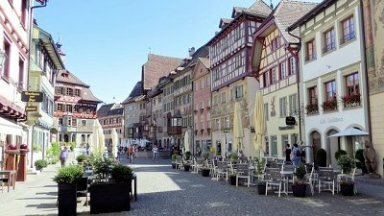 The main attraction, however, lies just outside town, at Neuhausen. 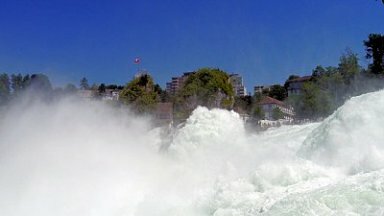 Here you can get a splendid view of the Rhine Falls, the largest and most thunderous cascade in Europe. local history and culture collection. 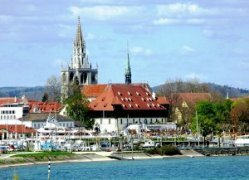 With a built-up area extending into adjoining Switzerland, Konstanz bestrides the River Rhine as it flows from the upper part of Lake Constance into the lower lake. The mostly pedestrianized and well-conserved old town, where Jan Hus was tried and subsequently burnt at the stake, lies on the south bank, with the cathedral the Münster as its focal point. 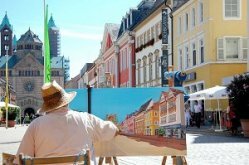 Among the other charming old buildings are the renaissance Rathaus and the Golden Lion House with its cheerfully painted façade. 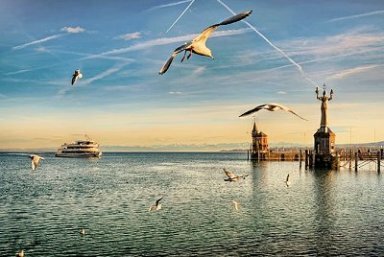 The lakeside, with promenades, harbor, shady gardens, and two surviving watch-towers, is particularly attractive. The Deutsche Alpenstrasse (Alpine Road Germany) runs for some 500km/310miles from Lake Constance in the west through the Allgäu and Bavarian Alps to the Königssee in the Berchtesgadener Land. 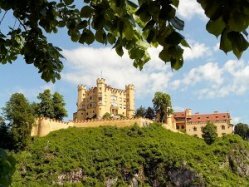 This scenic route will show you the gorgeous Castle Neuschwanstein nearby Füssen which must be seen to be believed as well as Oberammergau, which is famous the world over for its Passion Plays, up to Garmisch-Partenkirchen. 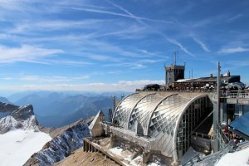 This city is Germany's busiest resort and it offers magnificent views of the surrounding mountain ranges, especially the massive Zugspitze, Germany's highest mountain - 2.963m (9.718 feet).